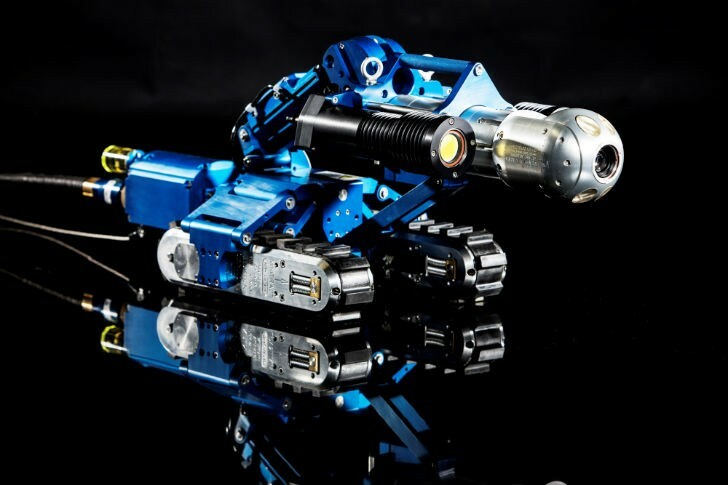 The Versatrax 150 Mark II can carry sonar, retrieval tools, laser profilers or NDT sensors. Powered by high-voltage Minitracs and guided by two powerful 901 lights, the Versatrax 150 Mark II features an automatic (or manual) camera raise for pipes larger than 12 inches in diameter, as well as support for high-definition video displayed in real time back to the operator. Inuktun’s Versatrax 300 system, which employs a two-kilometre range, is available for rental. Along with quality visual inspection and long range capability, underground construction contractors, public works managers, urban planners and consultants will also appreciate that the Versatrax 150 Mark II or Versatrax 300 can be easily integrated with laser profilers, sonar and chemical sensors, among other measuring devices.